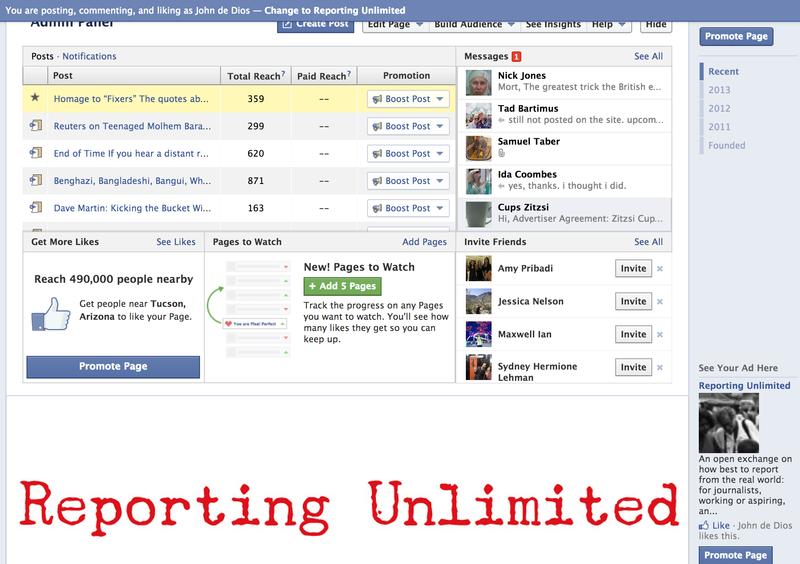 Reporting Unlimited is a limited, liability company started by Mort Rosenblum, an author and international journalist. For this venture, I served as Mort’s social media coordinator – a role I played when he published his most recent book, Little Bunch of Madmen: Elements of Global Reporting. For that release, I served as a web designer and administrator. I have helped Mort coordinate workshops and speaking engagements in Tucson.